I'm curious to know if there's a way to take a tiling soil image and use Poser's material room to create a ploughed look to it, using displacement. If I go for the latter, I'd love to be able to use the Hivewire footsteps tool. As far as possible, I want to avoid making lots of maps in Photoshop and use Poser's material room for as much as I can. I'll get to work on some ideas and post the results. Unfortunately when I try to break up the ground to be "chunky" I get tears in the mesh. You can see some gray streaks because of this. I tried uploading the shader but the site said "You do not have enough privileges for that". Cool. So here's a screen shot. Note. The size of your UV map will need to be taken into account. The U_Scale and V_Scale are connected to a math node that divides the map into 50 copies on a side. If you need more or less, adjust that 50. 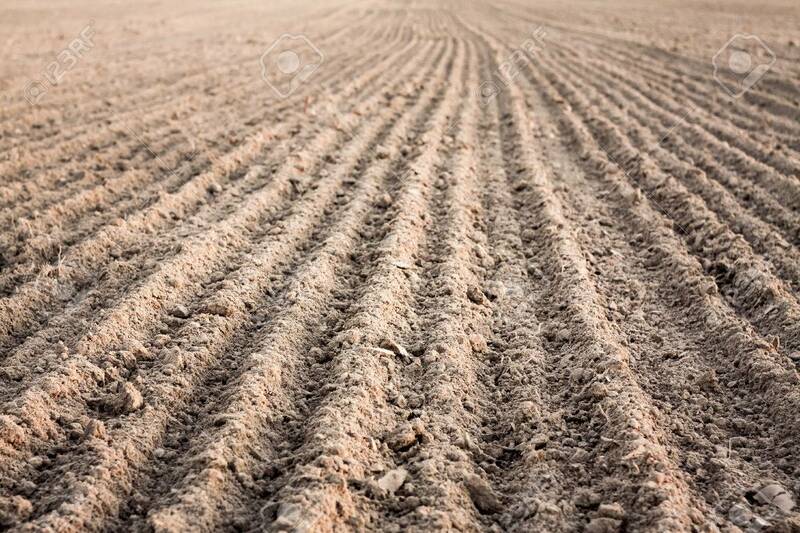 The furrows I made using the P node which gives world coordinates, so they should come out the same size on any prop. I used the X dimension to make them parallel to Z by putting .3 in the P.x parameter. If you want the furrows parallel to X, move the .3 into P.z parameter. Other angles are possible by a suitable mixture of X and Z. You can adjust the furrow width by changing the .5 in the Math:Sin node. You can adjust the furrow deviation from straight by adjusting the Math_Functions_5 Value_2 which is currently 16. That's awesome, thank you very much! I thought I was mostly done with mine, but it's being a pain. It's much simpler, but it's also pretty rubbish in comparison. The quote is slightly incorrect - he didn't quite say it that way, but I like it. Cheers! I upvoted your posts to help get you to the level where you can upload materials. I mean, if anyone should have the freedom to upload materials, it's you, lol! Very nice! One could even add procedurals to make it look "watered" or even "dry" out the topsoil at the peaks, shading it a little lighter, perhaps? @Glen85 How did you create that normal map from the photo, or is it generated by a texture program? @morkonan So these are never going to be as good as textures derived from 3D geometry because they're only accurate in two dimensions is that correct? It's because "photo" color alone cannot indicate surface normal. Consider an M&M candy. The white lettering is always picked up in a conversion to normals, and yet there's no modulation related to the white lettering AT ALL in the original object. Thanks but I don't understand what you mean by modulation here. Not proposing to answer for BB, btw. In short - The white lettering is only a color on the surface of the M&M. But, the conversion of that texture map to a normal map would result in those letters deforming the surface. (Just like in a Bump Map conversion.) In the construction of a 3D, geometrically-based, normal map for an M&M... (Not quite sure why anyone would, but..) this could not happen, since the normal map would truly represent the intended surface features of the object, regardless of any "texture" features. I find this exciting. An analogy - What 3D artists do on a 2D screen is somewhat analogous to what the Universe does to us every darn day - LIE! :) (I'm a Susskind fan, what can I say?) It's not quite, exactly, pushing into the "simulation argument", but it certainly deals directly with some quirks of information theory. I use Genetica 4 Studio to make asymmetrical seamless tiles and associated height and/or normal maps. I only now noticed that it can export normal maps with the Y dimension conforming to either the DivX (MikkT, for Cycles/Superfly) or OpenGL (tangent space, for Firefly) standard. For some materials, I can also generate height maps. @seachnasaigh - AFAIK, inverting the Y (green) channel determines whether the normal map is in DirectX (X+Y-Z+) format or OpenGL (X+Y+Z+) format tangent space normal map (both of which Poser can use). MikkT is tangent basis which is not the same thing as tangent space. As far as I can gather, the tangent basis is like the instructions for encoding and decoding a tangent space map - so if the app that encodes the normal uses MikkT & Superfly decodes that map with MikkT, the result will be as expected.